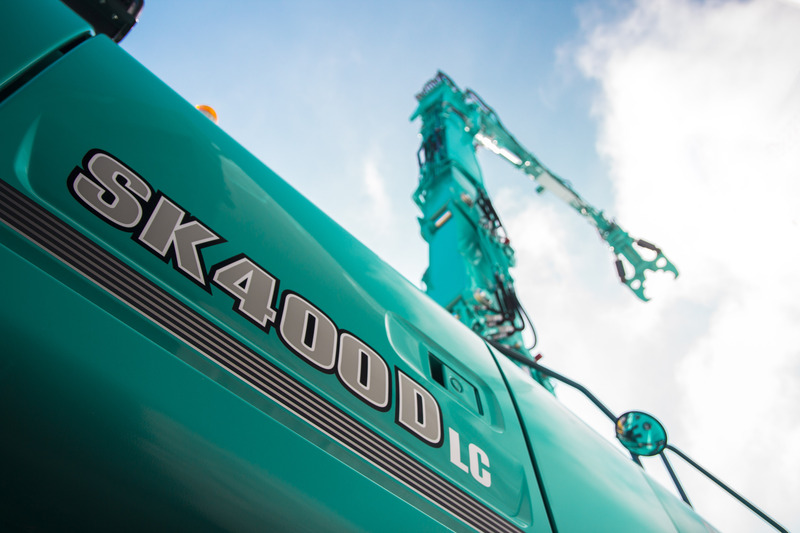 Demolition Machine - Kobelco Construction Machinery Europe B.V.
We’re proud to showcase the new SK400DLC-9 Building Demolition Machine for the first time at BAUMA this year and can’t wait to hear what you think! The machine is packed with innovative features, including the intelligent NEXT system, which provides numerous benefits for both the customer and operator. The modular design of the demolition arm means that it collapses to a compact size and can be transported easily. The counterweight is also concealed inside the case, reducing mass and transportation costs. The unique boom joint system means that assembly and disassembly are safe, quick and easy. In addition, the hook and pin design connects the machine and demolition equipment quickly, further adding to productivity and resulting in less downtime. The highly manoeuvrable, high performance machines have a maximum demolition height of 24 metres – the equivalent of a high-rise apartment block. The separate boom and big crusher are also ideal for low-level demolition works. We’re keen to hear what you think about the SK400DLC-9 Building Demolition Machine so don’t forget to visit us at stand FN.817/3 and tell us what you think on our Facebook Page using #KobelcoChampions. We’ll be test marketing the new model during 2016 to further develop it ahead of its release in Europe in 2017 so are looking forward to your feedback.